Adding more fruits and vegetables to your diet will help manage your weight, according to a study published in PLoS Medicine. Researchers monitored fruit and vegetable intake for 133,468 participants as part of the Nurses’ Health Study, the Health Professionals Follow-up Study, and the Nurses’ Health Study II. 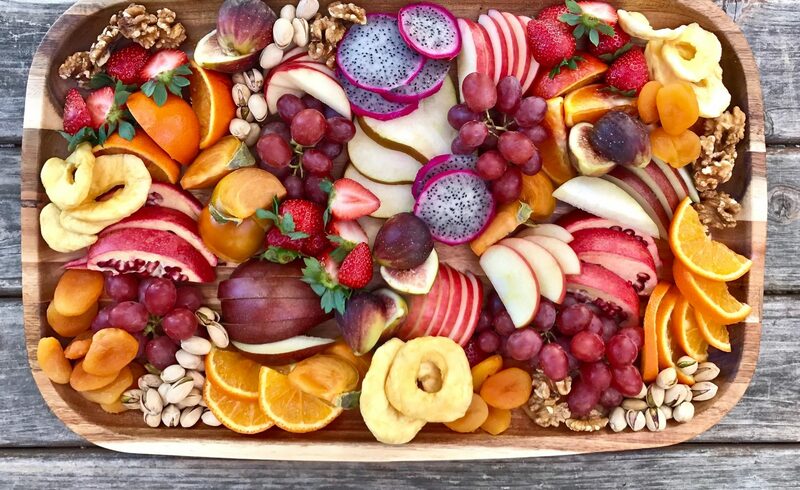 Increased intake of high-fiber, low-glycemic index fruits and vegetables, including berries, apples, and cauliflower, resulted in more weight loss. Researchers found that over four years about a quarter pound was lost per daily serving of vegetables, and about a half a pound was lost per daily serving of fruit. Consumption of different categories of fruits and vegetables resulted in more pounds lost per daily serving, including green, leafy vegetables, citrus fruits, and cruciferous vegetables. More healthful food choices lead to feeling full quicker with fewer calories ingested. Pump up the veggies! Boost your vegetable intake by planning a veggie-packed dinner. Vegetables provide fiber and important vitamins and nutrients.